The Spirit of Sweetgrass was Selected as the May 2007 FaithPoint Book-of-the-Month for Books-a-Million. Trouble the Water was selected as one of the BEST BOOKS of 2008 by Library Journal. 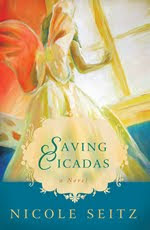 And her latest, Saving Cicadas is an Indie Next List Notable for January 2010. Part road trip, part mystery, and completely unexpected, Saving Cicadas picks you up in one place and puts you down someplace else entirely. It’s an eloquent reminder that life is a miracle–and even the smallest soul is a gift. 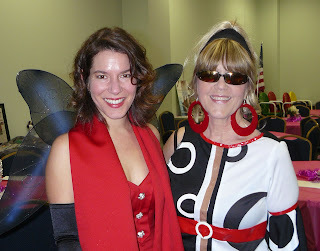 Now, I know River personally and I’ve read her latest novel, Saints in Limbo, which I reviewed on my blog a while back. So I took her blurb at face value, expecting a mysterious, creative plot with an uplifting message. And that’s what I got from reading Saving Cicadas. Now I can’t wait to read Nicole’s other books! P&P: Thanks for agreeing to answer a few questions, Nicole. Let me say up front that I was first drawn to your books by the beautiful covers, and then I found out that you’re an artist and these covers are actually your creations. So, which were you first—an artist or a writer? And how difficult was it to get the option to design your own book covers? NS: I’ve always been creative, whether in finding solutions or out-of-the-box start-up ideas. As a child, I remember writing poems, and by high school I loved and excelled in AP art. When I went off to college, it was no art for me, only writing in journalism school. After graduating, I went back to art by attending Savannah College of Art and Design for Illustration. Today, I’m using my writing and my art together, except I can usually only do one at a time. I think there’s no first, only the two working in tandem. Sometimes the writing takes over and sometimes the art. Perhaps I’m an artist of both images and words. As for how my artwork made it to the covers of my books, that was a happy accident or “God-thing”, whichever way you’re inclined. After I signed my first book deal, I created a website and painted a painting around the same time. The painting was my first “Spirit-led” painting, meaning I had no idea what I was doing until it was done. I didn’t plan it. It was completely liberating. That painting graced my homepage and my publisher saw it and wanted it for the cover of the book. Four books later, the paintings have become part of my brand. P&P: Pat Conroy compared your voice to Anne Rivers Siddons and Sue Monk Kidd and others who write about the South Carolina low-country, and a literary critic said it’s “reminiscent of Eudora Welty” Mississippi’s queen of literary fiction. When I realized you were writing much of “Saving Cicadas” through the voice of eight-year-old “Janie,” I immediately thought of “Scout” in Harper Lee’s “To Kill a Mockingbird.” But then I realized that you were going back and forth between Janie and her grandmother, “Mona,” to tell what was really “Priscilla’s” story—Janie’s mother and Mona’s daughter. Not to give away too much about the story, I loved the unique point of view that Janie and Mona brought to Priscilla’s story. How did you come up with this? NS: Writing the book from the first-person perspective of an eight-year-old girl gave the book the flavor I was going for, but because children know only snippets of reality I needed another voice to fill in the gaps. You’re right, I used two voices to tell the story of another, and after you read the book, I think you understand why it had to be! P&P: A blurb on one of your book jackets calls the work a “spiritual fable.” I noticed the masthead on your website includes the tag, “Southern Fiction For the Soul.” How would you categorize your novels? They strike me as part myth, part Southern family drama, part mystery. Are they all in the same genre, and if so, which one? 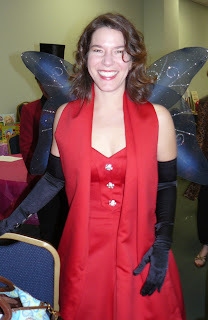 NS: My books are character-driven novels, often with a touch of magical realism. I think you described them well—part myth, part Southern drama, part mystery. It’s how I view life. As for genre, I’m trying hard not to be boxed into to anything. I think some of the most successful books of our time have crossed genres—think, The Time Traveler’s Wife, part paranormal, romance and mainstream fiction, as well as Water for Elephants, part historical, part love story, part contemporary. I believe as writers we shouldn’t try to write to genre just to fit into the mold, but to deliver compelling stories, whatever category they fall into. P&P: You deal with difficult but important issues through the characters in your fiction, Nicole—death, life after death, mentally challenged teenagers, the spiritual realm—and yet your writing isn’t “preachy.” Although your style is different from hers, I thought about Flannery O’Connor as I read “Cicadas,” because like O’Connor, your spirituality informs your writing. Is this something you set out to do intentionally, or does it just flow organically from your soul to your characters? NS: My books are labeled “General fiction”, not religious fiction, though they come from a Christian publisher. My faith informs my writing, sets it off flying, but doesn’t constrain it. I have a hopeful view of life, so even though you may read dark episodes in my book, I don’t believe that’s the end of the story. It’s not the end of OUR stories. And I always try to stay true to a character. If one of my characters would act a certain way or believe a certain thing, then I allow them simply to be true to themselves. There is much freedom in this. My books have touched on everything from love, family and heaven to voodoo and homosexuals, racism and war, domestic abuse and depression, angels and multi-cultural issues. P&P: What are you working on next? Do you have another novel in progress? Will you stay with the low-country as the setting for future books? NS: I’m working on my fifth novel now. It is set in the Lowcountry, and although I know people enjoy reading about this area, I don’t write about the Lowcountry for that reason. It’s simply where I grew up, what I know, and what I see all around me every day. I think as writers, we can bring our settings to life if we can really convey the soul of a place, and I’m blessed to be from the Lowcountry, a place with so much soul! P&P: One last question, Nicole. You have two small children. How do you manage writing and motherhood? Do you write at home? In an office? Are the children in school or under foot while you’re writing? I think a lot of young mothers who would like to write are overwhelmed at the thought of doing creative work that demands so much uninterrupted time. How are you making this work? Any tips for emerging “mom writers”? NS: I first started writing when I was pregnant, and then with babies. I would write at all hours, even in the middle of the night when I had to be up anyway to feed a bottle or change a diaper. These days the kids are a little older, 5 and 6, and my sleep has become a precious thing. Those ideas that come in the middle of the night usually have to wait till morning now! My kids are at school in the mornings, which allows me a little structured time to write. I like to write with my first cup of coffee in my hand, still in my pajamas, after a short commute to my office on the third floor…just outside the playroom! My office is also where I do my painting, so there are huge splotches of paint on the carpet and kids’ pictures tacked up on the walls, and a desk that looks like a tornado…but it’s my space. A great place to write. My advice to those wanting to write with kids is this: do it when they’re napping or keeping to themselves. You have a tremendous amount of creative energy when you have very small kids, believe it or not. Let your story be your escape, but always try to be fully “present” when the kids are around. They’re only young once. P&P: Thanks for taking some of that precious time to share with us today, Nicole. We look forward to your future books. 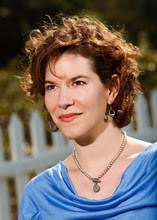 If you’re anywhere along the Carolina coast, check out Nicole’s schedule of readings and signings here,and contact her at talks@nicoleseitz.com if you’d like her to speak to your book club or organization. You can read Nicole’s blog, “Occasional Murmurings,” become a fan of hers on Facebook and also follow her on Twitter. Nicole is also a regular blogger at A Good Blog is Hard to Find. 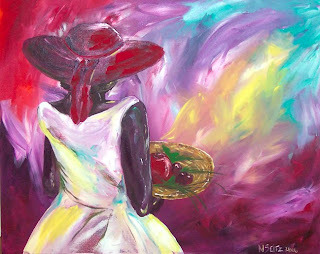 You can see Nicole’s art work and order paintings here.